Harlingen police are searching for four individuals pictured by store surveillance. 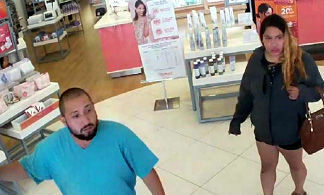 Harlingen police have released the pictures of four suspects accused of stealing hundreds of dollars of makeup from area stores. According to a news release, last Thursday the two couples walked into ULTA at 2717 W. Expressway 83 in the Harlingen Corners Shopping Center. They reportedly pickup up $268 in makeup and then walked out of the store. 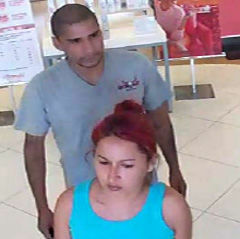 Police say the four then visited JCPenney in Valle Vista Mall and took $400 in makeup. Surveillance pictures of the suspects clearly identifies them and police are hoping that will help others recognize the men and women. If you know who they are or where they can be located, call Harlingen Police at (956) 216-5510 or the Harlingen Area Crime Stoppers at 956-425-8477.